Silestone® worktops are the best known quartz surfaces in the world. The slabs are produced in Spain. A wide variety of colours and styles, including the natural looking Rivers range and the ultra modern Zen range. Silestone® is the only quartz surface brand to use Microban®, an antibacterial protection agent for more hygienic kitchen worktops. Silestone® worktops have colour matched joint fillers and silicone sealant to add that extra 'oomph' to your kitchen. Also, it's the only quartz company that currently produces jumbo sized slabs allowing longer lengths and larger island worktops in one piece. Silestone® pioneered the new textured finishes with the Suede finish which is available on a large portion of its slabs. 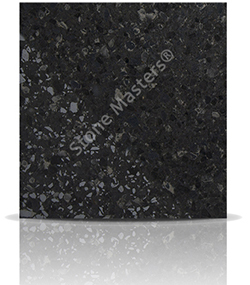 Whilst other companies have copied this style, the Suede finish by Silestone® still stands out.